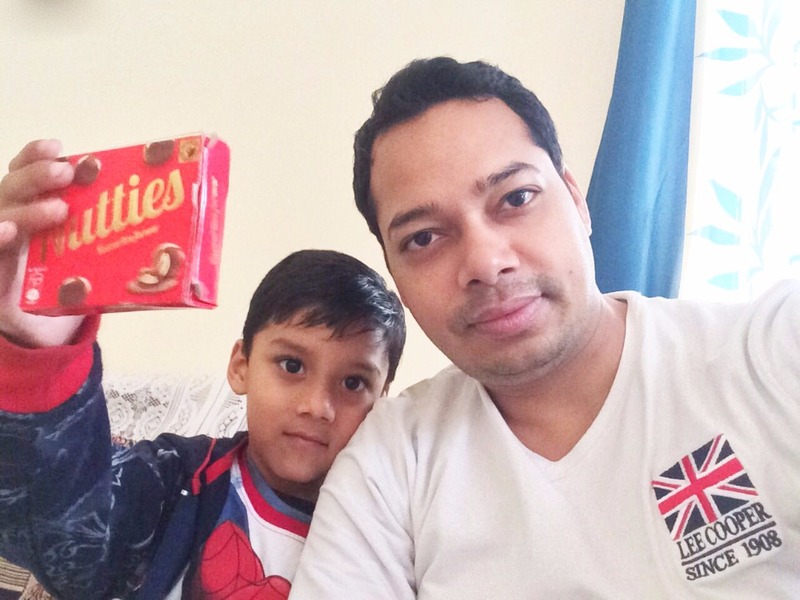 Manoj is a loving and hardworking young man, 35 years of age, full of dreams and compassion. He is my sister Poonam's husband and their son Suchit ,6 years old is a bundle of joy and innocence. 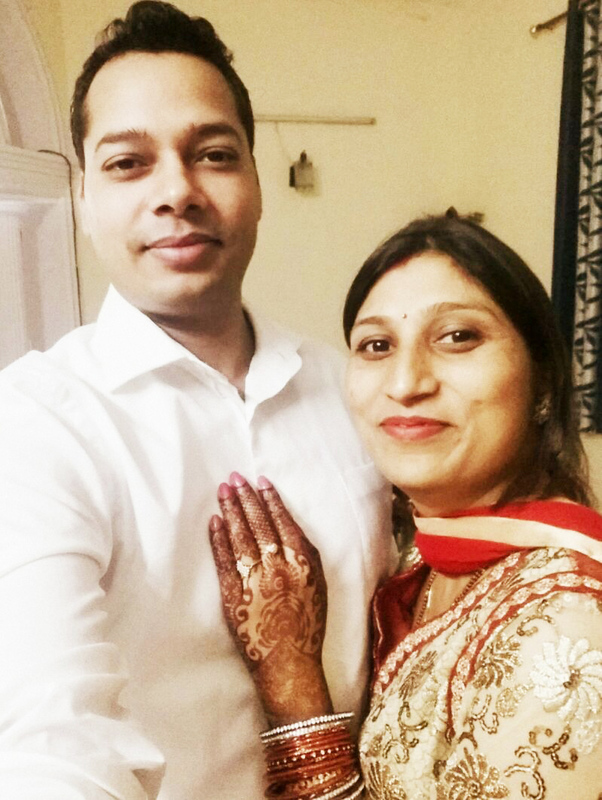 Life was full of joy and laughter till Manoj was diagnosed with Chronic Myeloid Leukaemia(CML). Suddenly in March 2017, he started developing fever which won't go away. Bone Marrow examination was performed. The diagnose was Chornic Myeloid Leukaemia in lymphoid blast crisis stage. Manoj's case is unusual in the sense that sudden blastic transformation is rare. Every member of the family is devastated. Everyone is trying to cope up with this situation. Manoj will need salvage therapy followed by consolidation allograft. He will also need weekly intrathecal chemotherapy. If adequate response rate is achieved, a consolidated sibling allograft will be done. Manoj's siblings are undergoing HLA-Typing as soon as possible. No matter how strong and positively everyone in the family takes it, the whole process is taxing emotionally, physically and financially. The harsh reality is the financial limitation. The cost has been estimated to cross $150,000, which is huge. The family is trying to cough up all their savings and seeking help. But, this task looks upheaval without the power of helping hands. We all are trying to rally behind Manoj and Poonam to try to raise money for the treatment and all expenses involved. The donation will cover this sudden unexpected expenses it involves. Please, donate generously for the family to fight this battle of cancer so that it will ease the stress of sudden monetary burden. I am trying to reach out to everyone who can be someone's sunshine whenever the skies are grey. 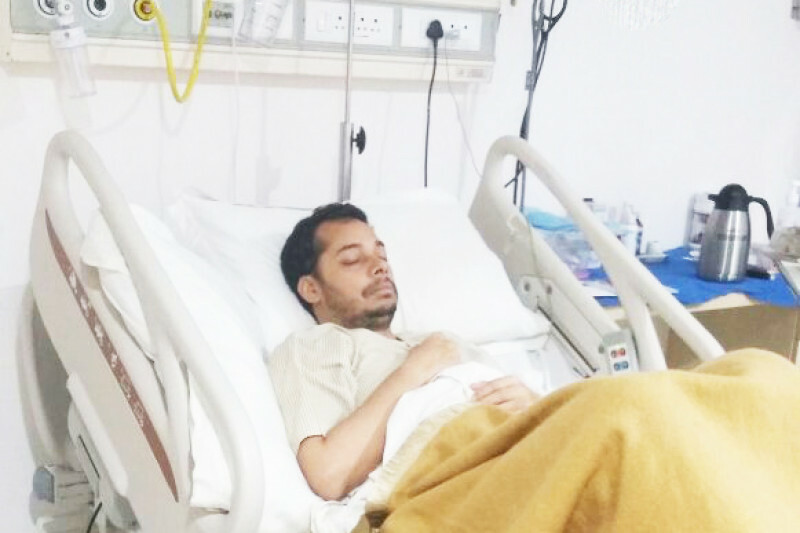 It is to inform all the well wishers that Manoj's condition is critical and been shifted to Intensive Care Unit. Please pray for his fast recovery. We would like to thank you all for your support on behalf of Manoj and Poonam against Manoj's fight against blood cancer. 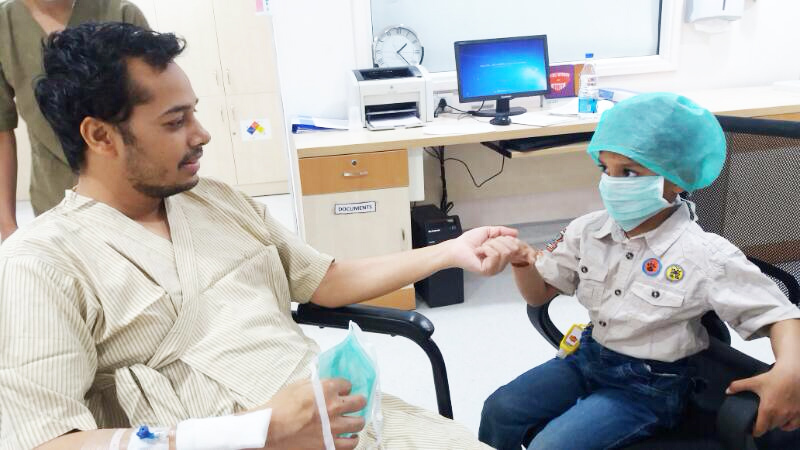 Manoj's Bone Marrow Transplant (BMT) was done during July and he was recovering fine till he caught Viral fever. He was down with fever for almost a month and that lead to so many complications in his recovery. His Platelets went down to 7000 from 1,50,000 and HB level to 6. He has been admitted in hospital since March. Though Hospital discharged him on many occasions but he was again admitted the next day for one reason or another like fever, kidney pain, liver problem, vomitings and what not. Recently, he suffered body seizure and voice seizure. Doctors diagnosed low potassium because of kidney problem he is going through. Day before yesterday, he got an delirium attack. Now, he doesn't know what he is talking, he doesn't sleep and doesn't have any control over his motions as well. It's really very tough time for Manoj and for family&friends as well, not only emotionally but financially as well. Family and friends has been working really hard to help Manoj to win this battle against cancer. They all have shown tremendous strength and positivity against all odds. Sometimes, this path becomes upheaval due to constant medical expenditure involved. Manoj's treatment was made possible by all joining of all the helping hands. He was expected to be recover by end of August but due to above mentioned complications, it is getting prolonged day after day. His family is facing EXTREME shortage of monitory resources due to this ongoing complications. They have exhausted all of their resources. He has come so far with his strong determination & with your prayers and at this time he needs your little extra support to win. We appeal to all of you to please help Manoj to win the league against cancer. Today, Suchit surprised his father, Manoj, when he visited him in the hospital for the first time since Manoj has been hospitalized. It was a very emotional meeting between son n father. Suchit bought with him loads of love and tenderness. He handled it well as a strong son of a strong man. Manoj is feeling emotionally strong, energised and all the more determined to go back home to his family. We all know the path to recovery is long and painful but your prayers will definitely help this family to sail through this difficult phase. 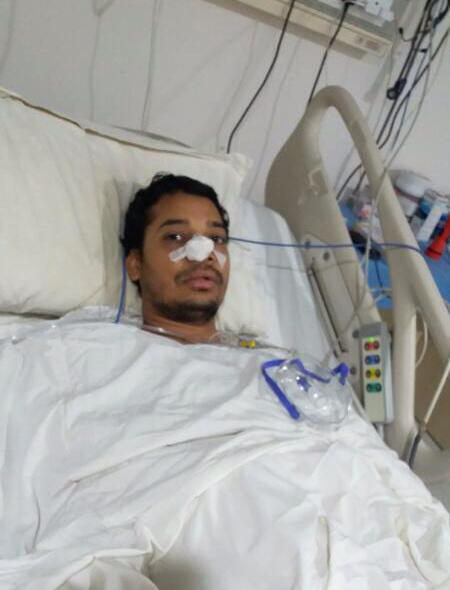 Your wishes for Manoj's recovery are making him stronger and determined. Please keep praying for his recovery. I am Bipan Kumar and Manoj is my sister Poonam's husband. I have started this campaign to help Manoj fight blood cancer which is in blastic stage. Few days back, Poonam updated in her comments that Manoj's first intensive Chemotherapy went well. As its side effect, he got fungal infection in his nose and today doctors had to remove it surgically to avoid its spread. He is feeling bit weak but fighting fit because of your prayers and blessings. At this moment I would be withdrawing the donation from gofundme to forward it to Manoj and Poonam into their account. Only with your helping hands, this campaign can move forward, so kindly reach out to as many people you can. Thanks a lot for your prayers and help. Thank you everyone for your prayers and support. 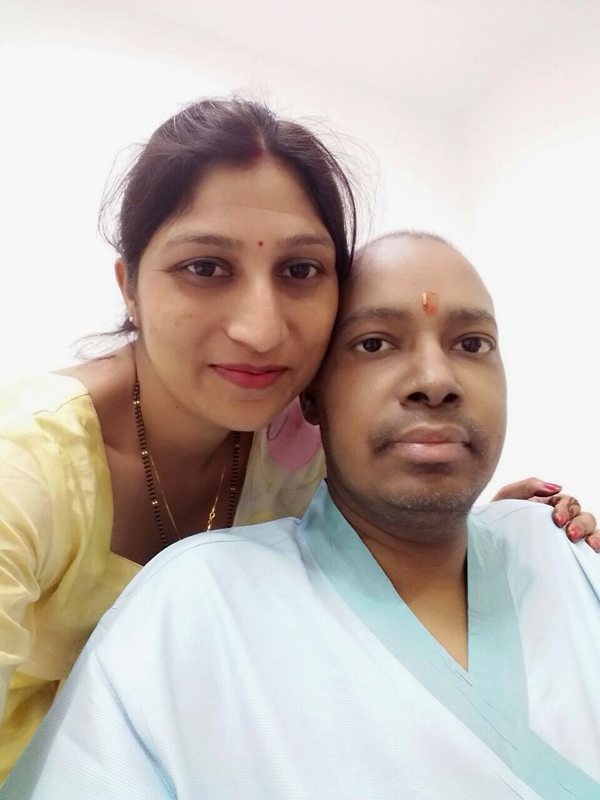 Manoj's first intensive chemotherapy went well. Please keep him in your prayers. Thank you. Hello friends and well wishers, my husband is feeling better today after 2 days of his nose injury. Wishing of his speedy recovery and early discharge from hospital. Thank you everyone. Get Well Soon dear. I pray from god for your faster recovery and peace for family in this tough time. Generally, it gets worse before it gets better. Hold on tight! !